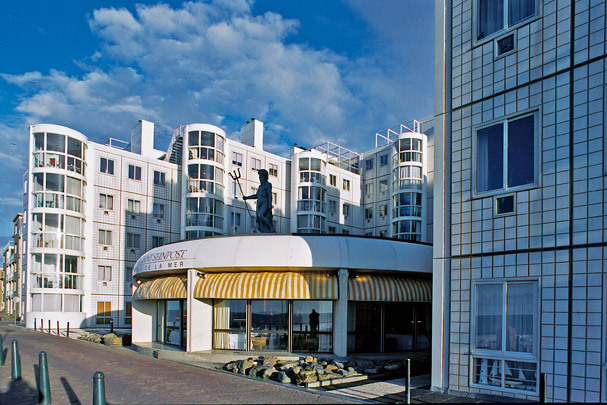 This block of 70 luxury apartments stands at the highest point in Scheveningen facing sun and sea. Its eleven towers of five to seven storeys high are grouped horseshoe-fashion. Each apartment has a circular conservatory whose glass wall can be slid open. Facades are clad with white spray-proof tiles.